On the day that both Kim Jong Un and Donald Trump arrived in Singapore for talks that could change the course of the nation, North Korean state TV and the state-run news service were silent about any of the events taking place in South East Asia. State media rarely reports on the activities of Kim Jong Un in advance so the silence isn’t a surprise, but it does serve to highlight the closed society that North Koreans live in. Because foreign media isn’t permitted into the country, state media services are able to cover events at their own pace. Part of the lack of advance coverage of what Kim Jong Un is doing in advance is often seen as a security measure, keeping his whereabouts confined to a small number of people, but it’s also partly so the state can shape the narrative on any event once they’ve seen it’s outcome. By not telegraphing expectations, any result can be portrayed as victorious and the plan all along. This avoids precisely the situation President Trump has worked himself into, at first talking about complete denuclearization and mentioning a Nobel Prize, and now trying to walk it back a bit while deflecting some who are already calling the reduced aims a failure. So what did North Korean TV report on Sunday? The main 8pm evening news led with a statement made by a Nepali scholar of North Korean politics that lauded Kim Jong Un as a defender of peace on the the Korean peninsula and the world. Reports on anything complementary said about Kim Jong Un by people overseas are often carried as news items. What’s a little interesting about this one is that the state news wire carried the item on June 5. The news continued with reports on workers laying wreaths at monuments to Kim Il Sung and Kim Jong Il, factory workers looking at an exhibit of the day Kim Jong Il visited their workplace and news on construction projects, agriculture and other social activities. 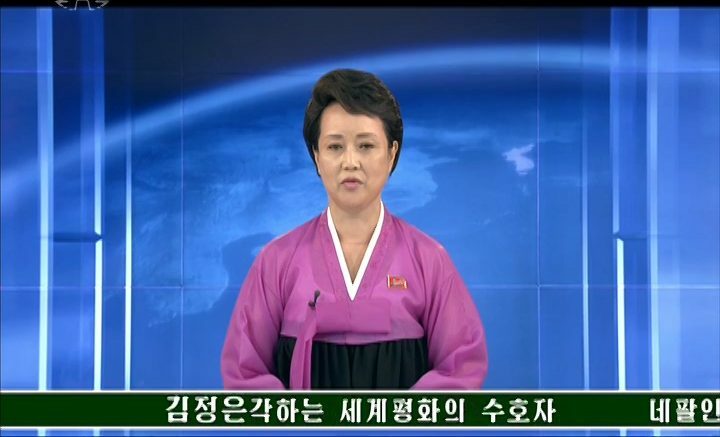 It was thoroughly typical of every daily news bulletin on North Korean state TV. Kim Jong Un did make an appearance. On Sunday, state TV replayed a report on him visiting the Pyongyang Seafood Restaurant. It was broadcast four times on Sunday after having aired four times on Saturday.